TICKETS TORN IN HALF:August 26,1992-BONNIE RAITT/LYLE LOVETT@Jones Beach With having jobs,a mortgage, two young kids, well, it’s been quite some time since both of us saw a show, together. When I was offered two tickets with another couple I jumped at the opportunity. LYLE’s BIG BAND was great and so was Bonnie. TICKETS TORN IN HALF(My 31st ABB Show) August 24, 2004: THE ALLMAN BROTHERS BAND@ Jones Beach, Wantagh aka “THE NO FUN ZONE”. This is a Tuesday night gig. We have 12 seats and a tailgate party pre show. The STATE POLICE were patrolling every inch of the parking area. Solo cups abound because the “no cans, no bottles, no fun” rule was in effect.Overall, after the festivities outside the arena, inside THIS WAS AN AMAZING SHOW and for many reasons. The opening number was Dr. John’s “Walk On Guilded Splinters” and the encore “Layla”, both song being first listens for me in an ABB concert setting. Derek Trucks did reprise his role as slide expert similar to when he played with Clapton so needless to say he nailed LAYLA, as did his counterpart on guitar Warren Haynes. Both GREGG and Warren on vocals were a treat. Even though we don’t like the Beach scene this was a great night with friends and family enjoying the ABB under the stars. TICKETS TORN IN HALF August 23,1989: ELVIS COSTELLO with THE RUDE 5 @ Jones Beach A weird show, not what I was expecting at all but I had great seats.Elvis played everything I wanted to hear and five encores. The crowd was wild for him.Marc Ribot was becoming one of my new favorite guitarists. 03. Honey, Are You Straight Or Are You Blind? TICKETS TORN IN HALF:August 20,1993-NEIL YOUNG w/ BOOKER T. and THE MG’s/SOUNDGARDEN/BLIND MELON @Jones Beach. This was one of those WTF moments,Neil with Booker T. and The MG’s. Sure they did the DYLAN TRIBUTE at MSG last year but that’s different as in it’s a DYLAN tune, not NEIL tunes. Musically I knew they would pull it off and be worth more than the ticket price but a full 90 minutes of tunes left me wondering…What would they play?…How will they play it?…Will Neil do a few BOOKET T. tunes? Hmmmm, the WTF factor times ten. So the stage is set after being entertained by BLIND MELON and a superb set by SOUNDGARDEN (Neil always has the best opening acts).All served in the pouring rain. The show must go on. BOOKER T. JONES on the organ, STEVE “play it Steve” CROPPER on guitar, DONALD “Duck” DUNN on bass with JIM KELTER on drums, and NEIL. Neil shreds it on guitar while the band gives off a groove with out mellowing out the tune. It was amazing.AND The Dock Of The Bay…well. TICKETS TORN IN HALF:August 19,1996-NEIL CRAZY w/CRAZY HORSE@Madison Square GardenNeil w/ Horse are playing at Jones Beach, a closer venue, a few night later but I opt for MSG because nothing beats that place in “arena” rock. Tonight Neil w/Crazy Horse are on their BROKEN ARROW tour which will be the fodder for the video/cd/etc THE YEAR OF THE HORSE. YOUTUBE.COM has the entire footage of MSG available for viewing. NEW YORK — Neil Young may be a critics’ darling, but the tumultuous audience response to the blistering show he and Crazy Horse put on at Madison Square Garden made it clear that audiences adore him, too. The crowd, which largely consisted of people too young to walk when he started his career, knew that Young is the real goods, the godfather of grunge, and that the years haven’t dimmed his rock-and-roll passion. The anomaly is that Young and his cohorts put on what could be considered a greatest-hits show, with many of the selections dating back two decades or more, but he totally avoids the stigma of being an oldies act. A vital artist who still releases an album a year (or more) of passionate, powerful music, Young is a shining example that a rock legend doesn’t have to burn out or fade away. That was demonstrated by the first song, a version of “Hey Hey, My My (Into the Black)” that was just as powerful as it was during the “Rust Never Sleeps” period. The crowd was instantly galvanized and stayed that way during a two-hour set. 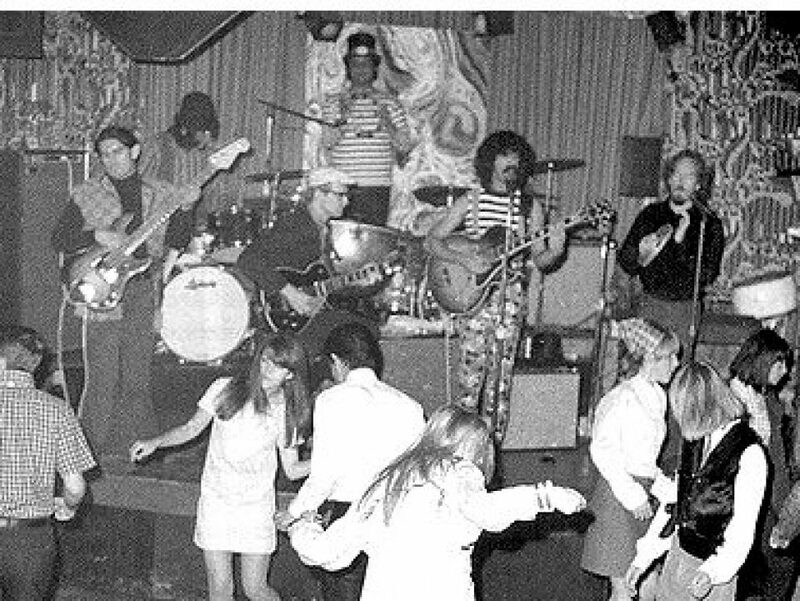 Young and Crazy Horse ranged through their entire career, performing incendiary versions of classics and lesser-known titles like “Cinnamon Girl,” “Sedan Delivery,” the 10-minute long “Cortez the Killer,” “Tonight’s the Night,” the appropriately themed “Prisoners of Rock and Roll,” as well as several cuts from the new “Broken Arrow” release. As Young played the guitar, his body language was nearly as compelling as the sounds he was making. During the lengthy guitar instrumentals that punctuated most of the songs, he and Poncho Sampedro (guitar) and Billy Talbot (bass) would stand in a circle playing to one another. The highlight was the show-ending “Like a Hurricane,” which ended in frenzy of guitar fury in which Young made his instrument produce a sound like the rumble of a hurricane; then, with a theatrical flourish, he tore every string of the guitar, practically destroying it in the process. It was a bit of shtick that would have made a punk rocker three decades his junior envious. The show is a good deal for the dollar, with such strong opening acts as The Afghan Whigs and the singer Jewel.